It’s week two of the Scrapbookingncraft Halloween collab using the chipboard shapes I showed last week. A bunch of lovely ladies are getting their Spooky Halloween vibes going and I will link them all below. Please check them out, they are all very talented! The Lawn Fawn Reveal Wheel dies are really easy to use, the hardest part was choosing which papers to use… I chose some ghosts and eyeballs from the DCWV Spooky Halloween stack. I die cut the ghosts with one of Lawn Fawns Meadow Borders and then with the Reveal Wheel die to make it the right size. Something I had seen on the Lawn Fawn YouTube channel. I cut the eyeball paper with the Reveal Wheel die and layered the grass at the bottom. Then I misted the cat’s shape onto watercolour paper (probably why the shimmer disappeared) with Tim Holtz Black Soot followed by Heidi Swapp’s Colour Shine. I fussy around it and glued it slightly under the grass. I used stamps from Lawn Fawns Reveal Wheel Holiday Sentiments set to stamp the wheel. After that I also stamped a sentiment on black cardstock with an embossing pad and used white embossing powder. Everything surrounding the Reveal Wheel is popped up on foam tape. Watching Lawn Fawns tutorial helped me get it right. I hope you enjoyed this collab, please check out the other ladies linked below. Hope you are creating your own arty crafty alchemy. Bye for now. 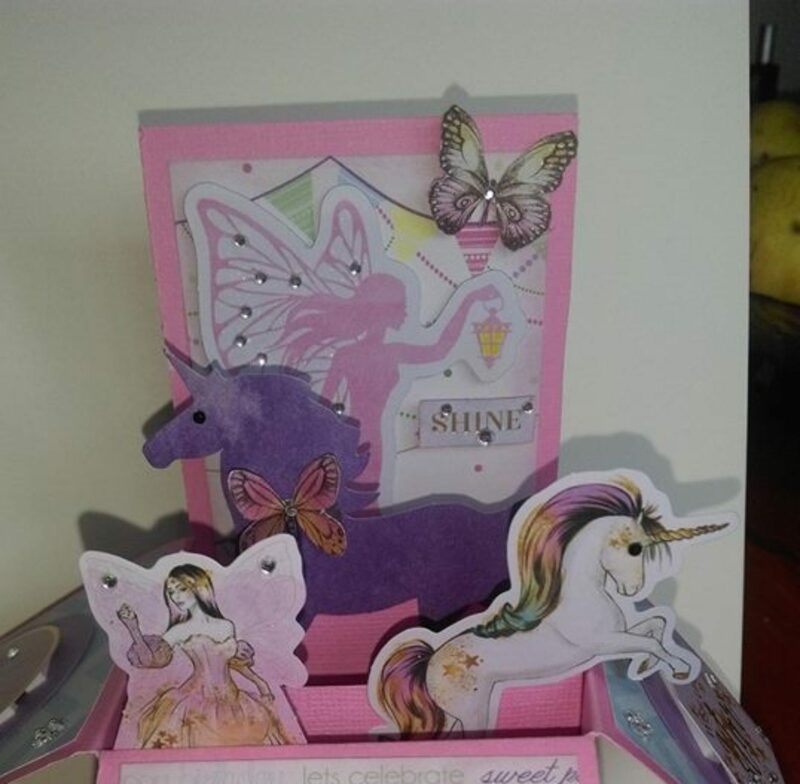 This week I am sharing with you chipboard shapes from Srapbooking n Craft. This is week one of a large collab so please check out all the other ladies. Look at all those amazing shapes I got. I had a brainstorming session to work out what to make. Hopefully I do them justice! Check back next week to see what I make! Hope you are making some Halloween arty crafty alchemy yourselves! Please check out the other lovely ladies in the collab below. Thanks for stopping by.